The 6 Series has standard Active Head Restraints, which use a specially designed headrest to protect the driver and front passenger from whiplash. During a rear-end collision, the Active Head Restraints system moves the headrests forward to prevent neck and spine injuries. The Corvette doesn’t offer a whiplash protection system. The 6 Series offers all-wheel drive to maximize traction under poor conditions, especially in ice and snow. The Corvette doesn’t offer all-wheel drive. A passive infrared night vision system optional on the 6 Series helps the driver to more easily detect people, animals or other objects in front of the vehicle at night. Using an infrared camera to detect heat, the system then displays the image on a monitor in the dashboard. The Corvette doesn’t offer a night vision system. The 6 Series’ optional lane departure warning system alerts a temporarily inattentive driver when the vehicle begins to leave its lane. The Corvette doesn’t offer a lane departure warning system. The 6 Series offers an optional Side and Top View Cameras to allow the driver to see objects all around the vehicle on a screen. The Corvette only offers a rear monitor. The 6 Series’ optional blind spot warning system uses digital cameras monitored by computer to alert the driver to moving objects in the vehicle’s blind spots where the side view mirrors don’t reveal them. The Corvette doesn’t offer a system to reveal objects in the driver’s blind spots. Both the 6 Series and the Corvette have standard driver and passenger frontal airbags, front side-impact airbags, side-impact head airbags, front seatbelt pretensioners, plastic fuel tanks, traction control and electronic stability systems to prevent skidding. The BMW 6 Series weighs 639 to 1352 pounds more than the Chevrolet Corvette. The NHTSA advises that heavier cars are much safer in collisions than their significantly lighter counterparts. The 6 Series comes with a full 4 year/50,000 mile basic warranty, which covers the entire car and includes 24 hour roadside assistance. The Corvette’s 3 year/36,000 mile basic warranty expires 1 year and 14,000 miles sooner. The 6 Series’ corrosion warranty is 6 years and unlimited miles longer than the Corvette’s (12/unlimited vs. 6/100,000). 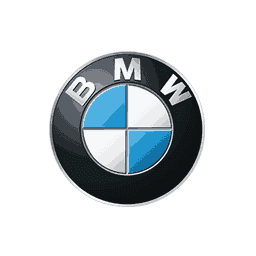 BMW pays for scheduled maintenance on the 6 Series for 2 years and 26000 miles longer than Chevrolet pays for maintenance for the Corvette (4/50,000 vs. 2/24,000). For smoother operation, better efficiency and fewer moving parts, the engines in the 6 Series have an overhead cam design, rather than the old pushrod design of the engines in the Corvette. On the EPA test cycle the 640i Coupe RWD gets better fuel mileage than the Corvette Auto (22 city/32 hwy vs. 16 city/28 hwy). Regenerative brakes improve the 6 Series’ fuel efficiency by converting inertia back into energy instead of wasting it. The Corvette doesn’t offer a regenerative braking system. In heavy traffic or at stoplights the 6 Series’ engine automatically turns off when the vehicle is stopped, saving fuel and reducing pollution. The engine is automatically restarted when the driver gets ready to move again. (Start/Stop isn’t accounted in present EPA fuel mileage tests.) The Corvette doesn’t offer an automatic engine start/stop system. The 6 Series M6’s standard fuel tank has 2.6 gallons more fuel capacity than the Corvette (21.1 vs. 18.5 gallons). For better traction, the M6’s tires are larger than the largest tires available on the Corvette (F:265/40R19 & R:295/35R19 vs. F:245/40R18 & R:285/35R19). For better ride, handling and brake cooling the 6 Series offers optional 20-inch wheels. The Corvette’s largest wheels are only 19-inches in the front and 20-inches in the rear. The front and rear suspension of the 6 Series uses coil springs for better ride, handling and control than the Corvette, which uses transverse leafs springs. Coil springs compress more progressively and offer more suspension travel for a smoother ride with less bottoming out. The 6 Series offers an available active suspension system, which counteracts cornering forces actively, limiting body roll and improving handling and stability. Chevrolet doesn’t offer an active suspension on the Corvette. For better handling and stability, the average track (width between the wheels) on the 6 Series is .3 inches wider in the front and 2.9 inches wider in the rear than the track on the Corvette. The 6 Series has standard seating for 4 passengers; the Corvette can only carry 2. The 6 Series Coupe has 35 cubic feet more passenger volume than the Corvette (87 vs. 52). The 6 Series Convertible has 37 cubic feet more passenger volume than the Corvette (89 vs. 52). The 6 Series Coupe has 2.1 inches more front headroom and 1.7 inches more front shoulder room than the Corvette Coupe. The 6 Series Convertible has 2.3 inches more front headroom and 1.7 inches more front shoulder room than the Corvette Convertible. The 6 Series Coupe has a much larger trunk than the Corvette Coupe (16.2 vs. 15 cubic feet). The 6 Series Convertible has a larger trunk with its top down than the Corvette Convertible (10.6 vs. 10 cubic feet). The 6 Series Convertible has a larger trunk with its top up than the Corvette Convertible (12.4 vs. 10 cubic feet). Unlike the driver-only memory system optional at extra cost in the Corvette, the 6 Series offers an optional passenger memory, so that when drivers switch, the memory setting adjusts the driver’s seat, steering wheel position, outside mirror angle, climate settings and radio stations and the front passenger seat also adjusts to the new passenger’s preset preferences. The 6 Series’ standard easy entry system raises the steering wheel, making it easier for the driver to get in and out. An easy entry system costs extra on the Corvette. The 6 Series’ standard power windows have a locking feature to keep children in the rear seat from operating them. Chevrolet does not offer a locking feature on the Corvette’s standard power windows. If the windows are left down on the 6 Series the driver can raise them all using the key in the outside lock cylinder. On a hot day the driver can lower the windows from outside the vehicle using the key in the outside lock cylinder or the keyless remote. The driver of the Corvette can only operate the windows from inside the vehicle, with the ignition on. In case of a sudden change of weather, the 6 Series has a standard remote convertible top which can be raised from a distance to protect the interior of the vehicle from damage. The Corvette’s top can only be opened by remote, so the driver will have to run to the car, get in, turn the ignition on and raise the top to prevent the interior from being damaged. The 6 Series’ rain-sensitive wipers adjust their speed and turn on and off automatically based on the amount of rainfall on the windshield. This allows the driver to concentrate on driving without constantly adjusting the wipers. The Corvette’s manually variable intermittent wipers have to be constantly adjusted. Heated windshield washer nozzles are standard on the 6 Series to prevent washer fluid and nozzles from freezing and help continue to keep the windshield clear in sub-freezing temperatures. The Corvette doesn’t offer heated windshield washer nozzles. In poor weather, headlights can lose their effectiveness as grime builds up on their lenses. This can reduce visibility without the driver realizing. The 6 Series has standard headlight washers to keep headlight output high. The Corvette doesn’t offer headlight washers. While driving with high beams on, sensitive light sensors available for the 6 Series detect other vehicles which could be blinded and automatically switch to low beams. The Corvette doesn’t offer automatic dimming high beams. To help drivers avoid possible obstacles, the 6 Series has standard cornering lights to illuminate around corners when the turn signals are activated. The Corvette doesn’t offer cornering lights. The 6 Series also has standard adaptive headlights to illuminate around corners automatically by reading vehicle speed and steering wheel angle. A power rear sunshade is optional in the 6 Series Coupe to help block heat and glare for the rear passengers. The Corvette doesn’t offer a rear sunshade. The 6 Series’ power mirror controls are mounted on the armrest for easy access. The Corvette’s power mirror controls are on the dash, hidden behind the steering wheel, where they are awkward to manipulate. To keep a safe, consistent following distance, the 6 Series Automatic offers an optional Active Cruise Control, which alters the speed of the vehicle without driver intervention. This allows the driver to use cruise control more safely without constantly having to disengage it when approaching slower traffic. The Corvette doesn’t offer an adaptive cruise control. The 6 Series’ optional Parking Assistant can parallel park or back into a parking spot by itself, with the driver only controlling speed with the brake pedal. The Corvette doesn’t offer an automated parking system.